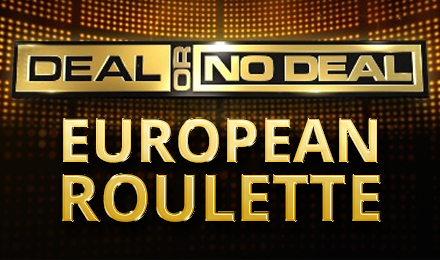 Whether or not you like the show, you’re going to love the Deal or No Deal European Roulette game at Moon Games! Step up to the table today! When the outer box lines up with the Roulette ball, the Deal or No Deal Bonus will begin. You’ll have to select a lucky box, and then choose other boxes to find out what amount lies inside. After this, the infamous Banker will make you an offer. As the TV show goes, choose DEAL, which is the Banker’s offer, or NO DEAL to continue playing. There’s an additional bonus as well, giving you loads of chances to win! It’s called the Banker’s Spin Bonus, and it will activate when the Telephone aligns with the Roulette ball, giving you 3 spins to win the top prize.